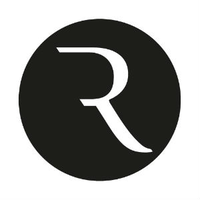 Raconteur is looking for a Digital Marketing Executive. If you meet the requirements below, you will be eligible to apply via Digital Marketing Community. Manage, plan and execute paid and organic campaigns across key digital platforms, including social media channels and (Google AdWords) to support lead generation. Ensure the right tracking and pixels are in place to have a complete online view of our prospects and any interactions they have with us. Measure, evaluate and analyze data using website and social media analytics and create insightful reports to help shape future activity and demonstrate ROI. Bachelor’s degree in marketing, communications or any related field. Minimum 1 year of working experience in digital marketing field. A proven track record of managing campaigns budget. Proficient experience in social media and creating (Google AdWords) campaigns. Advanced knowledge of community management, using social media tools such as (Sprout Social). Expert understanding of popular keyword tools such as (Google keyword planner, Moz and SEMrush). Effective working skills in using (MS Excel). Ability to communicate effectively with internal and external stakeholders. Raconteur is a premium publishing house with special report, digital, research and custom publishing divisions. Raconteur is committed to excellence in all their products and services by combining first-class journalism, data analysis, editorial imagery and striking graphic design.